Do you plan to still be in the depths of a food coma after Thanksgiving? Will you be licking your wounds from the human stampede that is Black Friday shopping? Well, there’s not a much better way to cap off your Thanksgiving weekend than by enjoying yet another fight card from the UFC. Yes, just in case you haven’t had enough UFC in your life as of late, with the epic upset of Holly Holm beating Ronda Rousey and the UFC’s Mexico card last weekend (where you didn’t miss much, honestly), the UFC’s back… back again. This latest card is being presented exclusively on UFC Fight Pass, and at 8 a.m. ET on a Saturday, no less, from South Korea. What better way to start your Saturday than with a live card of fights? I guess a steaming cup o’ joe would work for most of you as well, but I don’t drink caffeine. But I digress. There are some exciting fighters on this card, which marks the UFC’s first foray into South Korea, including Benson Henderson making his return to the Octagon, Jorge Masvidal replacing an injured Thiago Alves and crowd favorite Dong Hyun Kim. Actually, there are two Dong Hyun Kims on this card. True story. But we’ll get into that later. Yes, you’ll want to fire up your laptop or other piece of technology to catch the UFC’s latest offering. The preliminary card kicks off at 5 a.m. ET and the main card goes live at 8 a.m. ET. Combat Press writers Sal DeRose and Chris Huntemann give you guys just a taste of what you can expect in this edition of Toe-to-Toe. Benson Henderson is fighting Jorge Masvidal in the main event, but this isn’t a lightweight fight. Instead, these two well-established former 155ers are competing as welterweights. 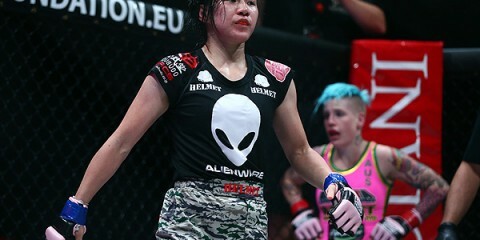 Each has one win in their new division, but which fighter can add to that total in South Korea? DeRose: On short notice, this fight becomes a lot more interesting. Both fighters were training and planning for different opponents. The short notice probably benefits Henderson more than Masvidal because of the former’s wrestling abilities. If Henderson wants to take this fight to the ground, he can and will. While Henderson’s wrestling is a game-changer, Masvidal has displayed some excellent takedown defense in the past. That, coupled with Masvidal’s boxing, makes Masvidal a much harder opponent to count out. The 31-year-old is going to need to keep this fight on the feet. Henderson’s boxing is improving and Masvidal will need to remain vigilant and check Henderson’s leg kicks. Henderson’s leg kicks are something else, and those kicks could make it a lot easier to secure takedowns later in the fight by draining the strength from Masvidal’s legs. This fight is also five rounds, as opposed to the typical three rounds. That will be another difference-maker. 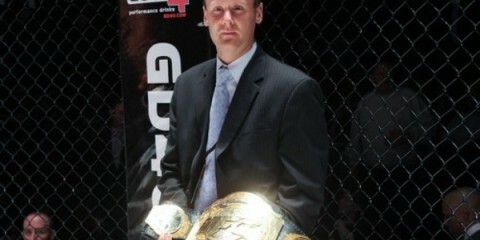 As the former UFC and WEC lightweight champion, Henderson has much more experience with the championship rounds. Masvidal hasn’t really seen those rounds. The cardio and experience edge could be enough to give Henderson the advantage. Henderson’s grappling is superb, too. He has 10 submissions to his credit, including in his welterweight win over Brandon Thatch in February. Masvidal will be a hard opponent for Henderson. His boxing and takedown defense really can clash with Henderson’s style. If this was a three-round fight, there’d be more of an argument in favor of Masvidal, but five rounds certainly gives Henderson a chance to make this a grueling fight. Henderson won’t want to lose in what is essentially home court (he is of South Korean heritage). Henderson will take the decision. Huntemann: This is a more interesting match-up than the original one between Henderson and Thiago Alves. If the fight hadn’t been changed, Henderson was going to fairly outclass Alves. Masvidal, on the other hand, presents a much tougher match-up. Once Henderson got comfortable in his welterweight debut against Thatch, he looked great. He also put on one of the more underrated title reigns recently when he was lightweight champion. He still owes Frankie Edgar one more fight, too, but his move to welterweight came at the right time. The lightweight division became too crowded, whereas at welterweight he has some fresh and very enticing match-ups, starting with Masvidal. Masvidal has been in the cage with some of the best out there. He, too, might want to consider a permanent move to welterweight. As my colleague suggested, this fight will go the distance and we will probably see a close decision. However, it’s Henderson who will emerge on top. He’ll go on to eventually match up with some of the best at 170 pounds. There are two men named Dong Hyun Kim on this card. Both are fighting as welterweights. Is matchmaker Joe Silva laughing right now? Obviously, this is confusing, but will UFC fans be tortured by this confusion beyond this one event? Huntemann: I’m going to be honest. I have no idea where to begin with this. Obviously, we’re all familiar with “Stun Gun” Kim and the exciting performances he has put on in the Octagon. But what of this other Dong Hyun Kim? Is he the long-lost twin of “Stun Gun”? (This is how I will differentiate between the two for the purposes of answering this question.) Is he a buddy of “Stun Gun” who worked with him to pull off an elaborate prank? If so, well played Kim brothers. Well played. Or, it could just all be a happy coincidence. Anyway, I like both Kims to emerge victorious on this card. If nothing else, because it might be humorous to find out if the UFC mistakenly gives these guys each other’s prize money. In other words, let’s see if “Stun Gun” gets his (still way too low) Reebok payout for being an Octagon veteran, or if this new Kim actually gets a little more than he expected. That said, it wouldn’t surprise me if “Maestro” Kim is one-and-done with the UFC. The front office probably doesn’t want to have to deal with anymore confusing paperwork than they need to. DeRose: Uh, I see “Maestro” a lot, so I’m going to assume we’re talking about the Kim fighting Dominique Steele. To answer my colleague’s question about whether this was an elaborate prank or a long-lost twin, it was all a ruse! “Maestro” is actually “Stun Gun” and this was a workaround to fighting twice on the card to double his Reebok payout! Brilliantly masterminded plot! You win this round, Dong Hyun Kim. Enjoy that sweet, sweet Reebok cash. Jokes aside, I don’t have “Maestro” Kim winning his fight. This is another very short-notice contest on the card, as Kim was called in to face Steele after Hyun Gyu Lim dropped out. This definitely favors Steele, who was already slated to fight on the card. “Maestro,” meanwhile, is making his Octagon debut. That is always tough to overcome and all the more difficult on short notice. Steele knows this very well. He lost his first fight in the UFC in July and will be making his sophomore UFC appearance when he fights in South Korea. The time difference may hinder Steele, though. Steele is most likely fighting for his job. He would be 0-2 with a loss against “Maestro” Kim. 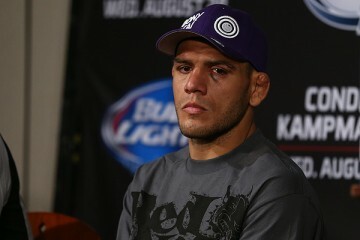 Steele will probably be the bigger fighter against Kim, who has fought at lightweight. Kim will surely be giving up some strength and weight. Steele is pretty decent in his grappling and striking. Nothing to really write home about, but it’s enough to give Steele the edge en route to what will be a unanimous decision victory. Speaking of Dong Hyun Kim (“Stun Gun,” not the other guy), where he does fit in the current UFC welterweight picture? He’s been with the company a long time — on and off since 2008, to be exact. He boasts wins over guys like Nate Diaz, Matt Brown, Erick Silva, Paulo Thiago, John Hathaway and Josh Burkman, and yet he might be the most unheralded fighter currently ranked in the top 10 of the division. Can “Stun Gun” still emerge in a crowded welterweight field? 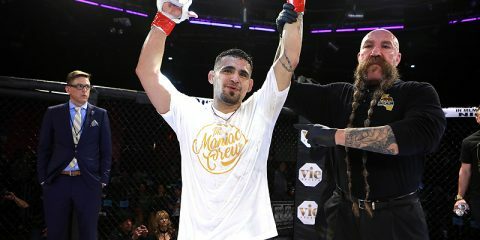 DeRose: It’s really tempting to pick Kim to be the next top challenger at welterweight, but then there are all of the fighters in front of him to consider. This turns Kim’s top challenger potential into more of a dream than reality. It’s also impossible to erase the memory of his knockout loss to Carlos Condit. That loss proves why he won’t be a challenger. Kim’s big wins on that list are probably Diaz, who is better as a lightweight rather than a welterweight, and a 2008 version of Matt Brown who was nowhere near the same fighter he is today. Meanwhile, Condit is probably a perennial top-five fighter in the UFC’s welterweight division. Dominic Waters isn’t exactly the name that will build the top-five caliber resume that Kim needs to in order to make an impact in a really crowded division. 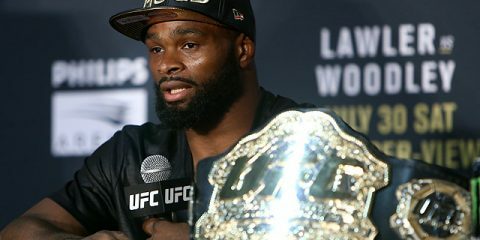 The welterweight ranks include Rory MacDonald, Johny Hendricks and Tyron Woodley. And the list goes on and on of guys that make the wait for a title shot longer than the wait in line for Splash Mountain at Disneyland. The wait isn’t the issue, though. Instead, it’s getting past the fighters at the top of the welterweight mountain that is Kim’s biggest problem. There are three losses on Kim’s record, and all three come against some form of the best in the welterweight division. Whether it be his quick TKO losses to Condit and Woodley, or even his TKO injury loss to Demian Maia, Kim just hasn’t overcome the hurdle of beating the best in the weight class. When Kim gets another fight against a top opponent, we can revisit the question because the answer might change. However, history has proven that Kim has an inability to overcome the better fighters in the division. The record isn’t there to support a Kim title run. Huntemann: Welcome to Gatekeeperville, Dong Hyun Kim. Clay Guida will give you the grand tour, having recently joined the club himself. Kim has already come up short against some of the elite at welterweight, including the aforementioned Woodley, Maia and Condit. A hypothetical fight against Robbie Lawler would be a really bad match-up for him too. Kim also has younger fighters hot on his heels in the welterweight top 10, including the fast-rising Stephen Thompson and guys like Gunnar Nelson and Neil Magny. The losses to the top-ranked guys will keep Kim down, and it’s possible he gets lapped by the young guys making their way up the rankings. His best chance would be to step in the cage with someone like Johny Hendricks and convince the former welterweight champ that a move up to middleweight would be in his best interests. But as long as a fighter is capable of putting on exciting performances, they’ll always have a home in the UFC. Just ask Diego Sanchez. Yoshihiro Akiyama returns to action after a little over a year on the sidelines. For the last handful of years, Akiyama has been fighting once a year generally with some time off in 2013. How much does the 40-year-old have left in the tank? Does he have a chance to earn his second victory in his last six fights? Huntemann: “Sexiyama” doesn’t have much left in the tank, to be frank. He has a cool nickname, international celebrity status and a hot wife. That’s about it for his appeal. He was added to this card to draw in more viewers, which is perfectly fine for the UFC to do. No problem there. But, wow, look at Akiyama’s record. It’s not good. His only two wins in the UFC came against the recently retired Alan Belcher (by split decision) and the recently released Amir Sadollah. So Akiyama hasn’t actually beaten anyone in the UFC who’s still an active competitor. 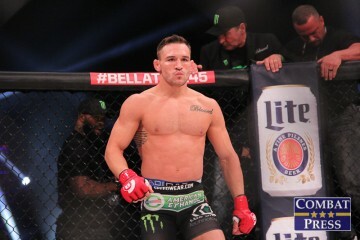 He also lost five in a row, albeit to tough competition in the form of Chris Leben, Michael Bisping, Vitor Belfort and Jake Shields, consecutively. Talk about a murderer’s row. Now he faces a fighter in Alberto Mina who’s undefeated, has the nickname “Soldier of God” and has won each of his fights by TKO or submission, including a first-round TKO victory in his UFC debut. So, yeah, I’m not big on Akiyama’s chances in this fight. You might want to tune in just to see his swan song, honestly. “Sexiyama” is actually still a betting favorite in most outlets right now, which is curious. If you want to plunk down some change on FanDuel or Draft Kings for this card, A) You need a hobby; and B) Put the money on Mina. You might be able to pick up a good chunk of extra change for your holiday shopping. DeRose: My colleague’s opening statements about Akiyama are spot on. “Sexiyama” is essentially in the same boat as Bisping. He won’t be a world beater and take victories over the best competition in the division, but he is a draw in a big market where the UFC wants to keep a foothold. Retirement should be the next thing for Akiyama, who could be doing a lot better things with his time than stepping into a cage and fighting for three rounds. It just seems unnecessary. He is a huge fan-favorite all over the globe, but that is essentially it. In the last five years, Akiyama has three fights. In those three fights, he has only secured one victory. The fact that he has fought only three times in five years should be the most telling aspect here if we’re going to talk about how much is left in the tank. Whether it be injuries or a disinterest in fighting, it seems to be piling up. Between February 2012 and September 2014, Akiyama took a long hiatus. Surprisingly, he returned. Maybe he’s waiting to end his career in his own backyard, but there doesn’t seem to be much left for the veteran. DeRose: Let’s go to the women’s side here: Courtney Casey and Seo Hee Ham. Both fighters went ham against Joanne Calderwood and made her work for wins that were predicted to be in the bag for the Scottish striker. Both fights were really thrilling brawls. Ham essentially ate a Calderwood front kick that would have dropped many fighters and continued to walk forward like she was on a nice stroll through Central Park. These fighters can be expected to really give their all in this fight and put on a show for the crowd. 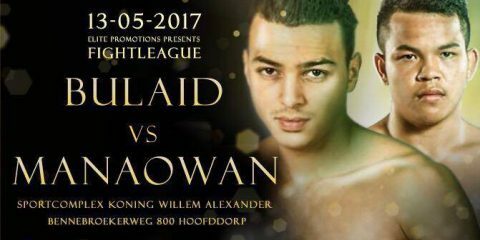 Huntemann: Am I allowed to say the fight between Tae Hyun Bang and Leo Kuntz? Or do we really consider ourselves a family-friendly website? In all seriousness, the fight between Akiyama and Mina is the pick here, if only because this could be Mina’s coming-out party… or at least as much of a coming-out party as one can have when fighting on an online streaming service. Mina has finished all of his opponents so far and had a first-round finish in his last fight. He is ready to announce that he’s a dangerous fighter to be reckoned with, and it’s unfortunate that Akiyama has to bear the brunt of that message. We will probably all know the name Alberto Mina after this card is over. Huntemann: A breakfast sandwich and a nice cup of coffee. It wouldn’t be my first choice, but in case you need a little help getting up earlier than usual on a Saturday to catch some live UFC fights, you could make a worse choice. 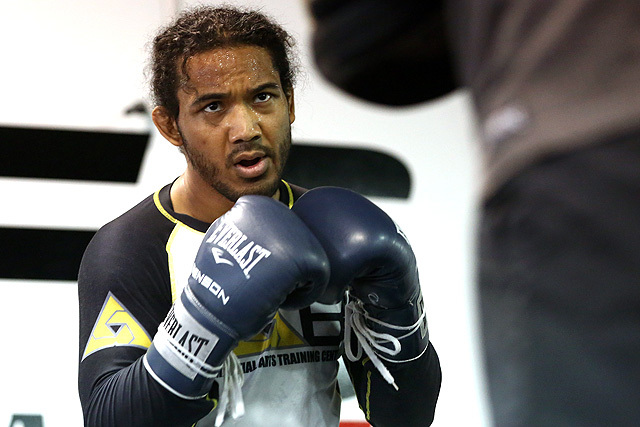 In the case that Benson Henderson and his vaunted toothpick, two (count ‘em, two!) Dong Hyun Kims and “Sexiyama” isn’t enough to get you jazzed for this card, a good cup o’ joe might do it. What the hell, add some Jameson to it while you’re at it. ‘Tis the season, after all! DeRose: That breakfast sandwich sounds really good right about now. This card takes place so early that I don’t even have a pairing in mind. I don’t know what people do to wake up at 5 a.m. Normally by then I’m well into being a living corpse in bed. If you intend on being up that early — or you have a more favorable time zone that affords you the ability to get a good sleep in — an early trip to bed the night before seems best. Sure, we can go the coffee route, but if you’re anything like me, you might be best avoiding a drink that makes you feel like a child who just ate a ton of candy in one sitting. Go with the sleep. You’ll feel better!